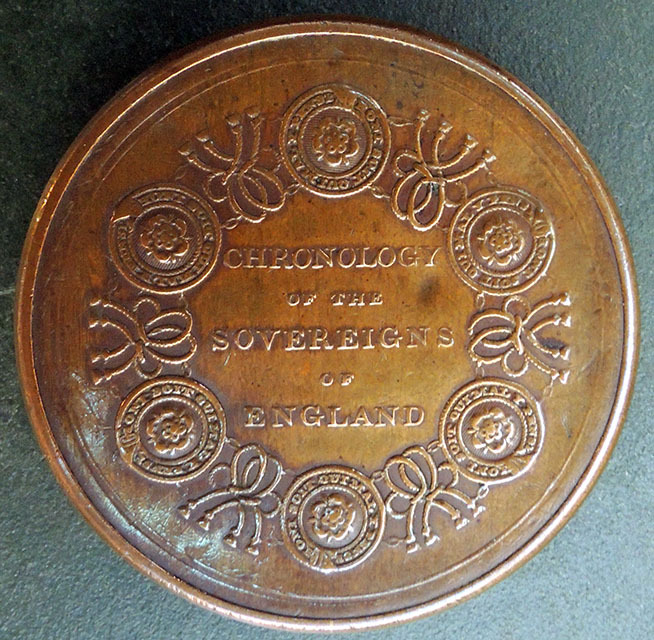 Chronology of the Sovereigns of England ([England], 1814). 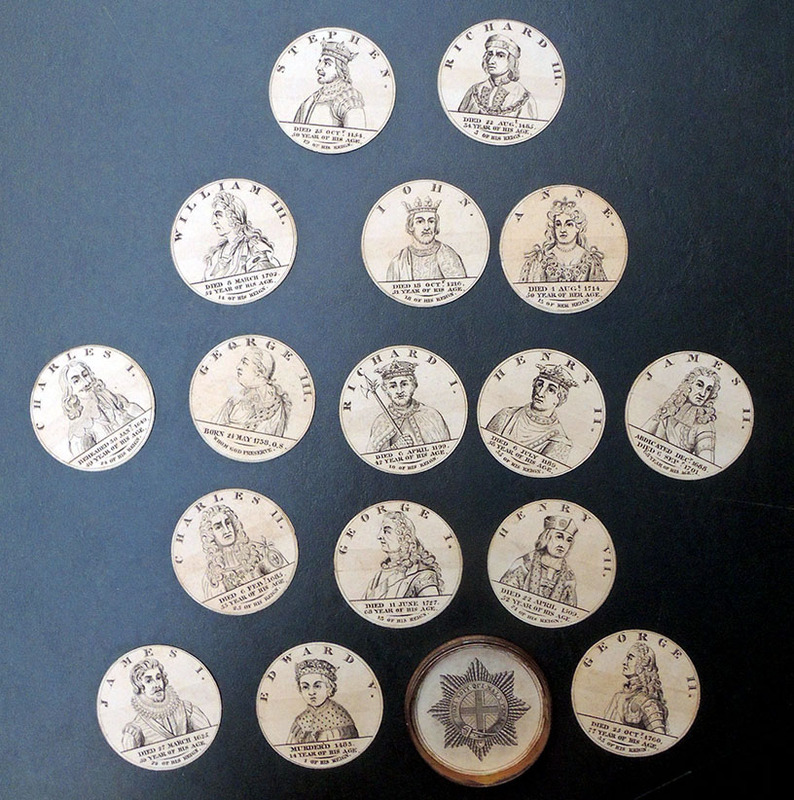 16 circular discs, printed on both sides with portraits of the Kings and Queens from William the Conqueror to George III. 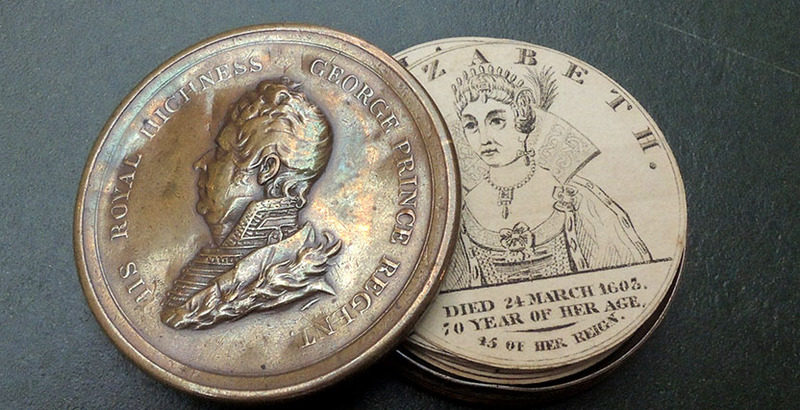 Formerly attached on a ribbon, they are housed in a bronze metal case, 47 mm, embossed with the head of the Prince Regent, George III, on one side and the title on the other. 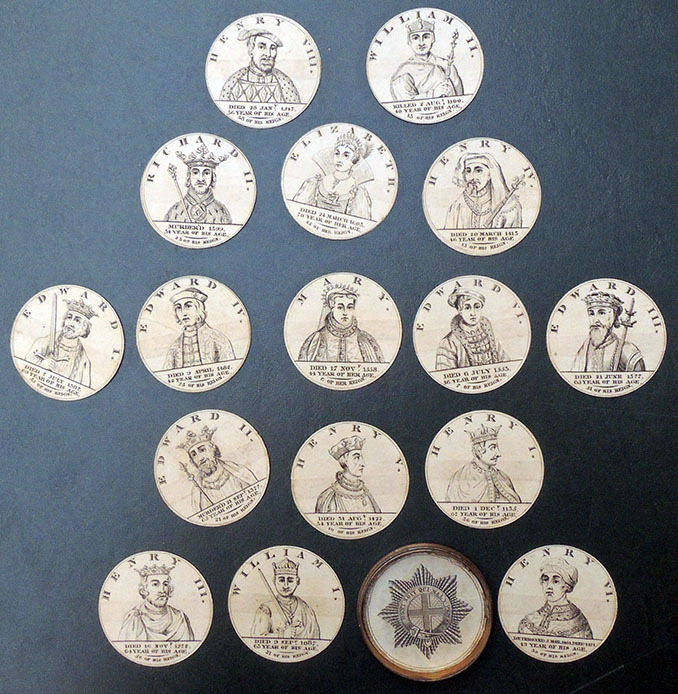 Along with the portrait, each disc includes the date of the sovereigns’ death, their age, and the length of their reign. 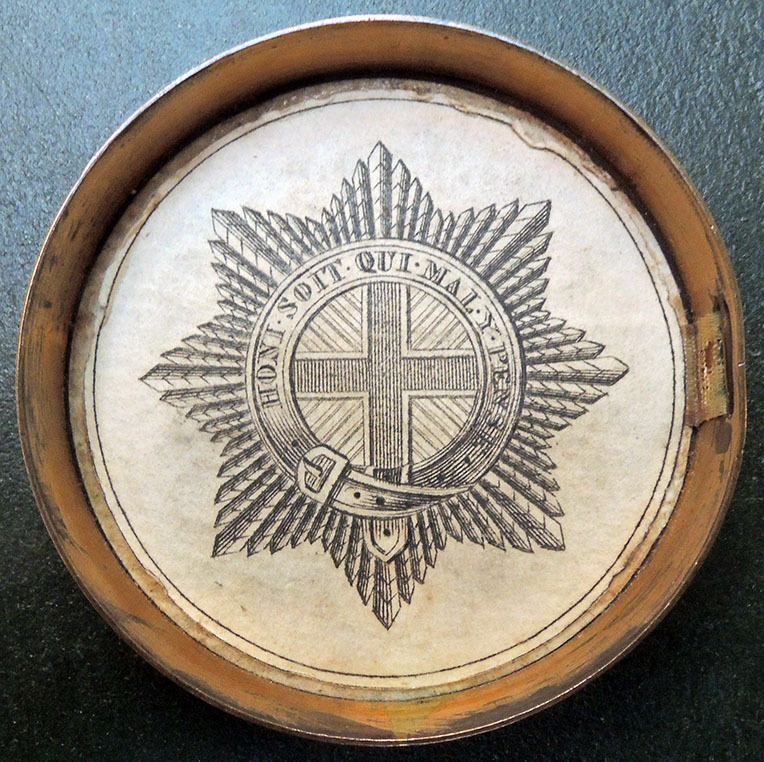 One source describes the commemorative medallion, box and prints, as produced for the centenary of the House of Hanover in 1814. It was reissued in 1820 for Prince George’s accession to the throne and again in 1822 to commemorate George IV’s trip to Scotland. The Graphic Arts Collection also includes a deluxe set of aquatints in a commemorative medallion of The Battles of the British Army in Portugal, Spain and France from the Year 1808-1814, edited, published, and sold by Edward Orme in 1815. This entry was posted in Acquisitions on November 2, 2018 by Julie Mellby.